Joining me is Missy Stidham the Group Fitness Coordinator at Crunch Gym in Waco. She is learning this routine as we go! You can too! C'mon! Dance with us! I LOVE teaching Zumba & I LOVE great choreography that's easy to teach! This choreography is from Ihovanis Zin Zumba here on youtube. I'm breaking down the moves for you - and for my students because I LOVE teaching this song. Like & subscribe here and I'll share ideas about how to break down dance moves and how to teach better fitness classes. I'd love to connect with you. What would you like to see more of? Workout videos, inspirational, motivational videos, home build and design ideas? Let me know!! 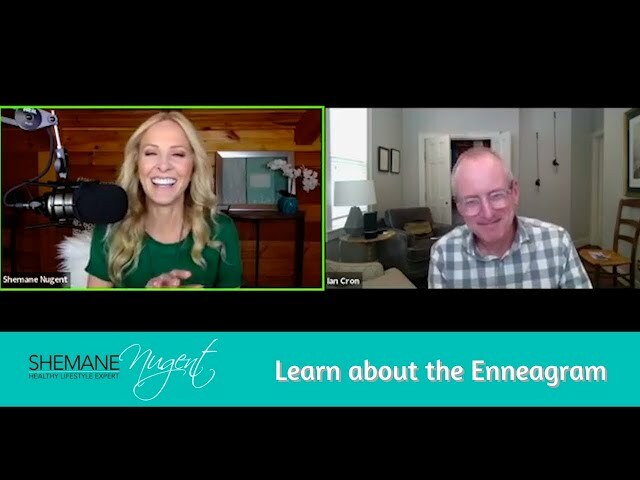 Ian Cron, best-selling author of The Road Back to You, describes the basics of the Enneagram, a life-changing personality typing system that is used by the CIA, Fortune 500 companies and millions of people who seek to learn the truth about themselves and others. NO COPYRIGHT INFRINGEMENT INTENDED. ALL RIGHTS OF THE MUSIC BELONGS TO THE OWNER. VIDEO IS FOR EDUCATIONAL DANCE PURPOSES ONLY. Everyone has a different recipe for their favorite cake or cookies - and for what makes them happy and content. Use this C.A.K.E. recipe to determine how you can find purpose and live your best life. Has this video helped you gain a new perspective? Please comment below. I've been a group fitness instructor for 40 years and my main goal is to provide a safe & effective workout that's fun! You can't have fun if you can't follow along. So, in this video, I break down the movements and slowly add on so you can get a good warm up & workout! Enjoy! 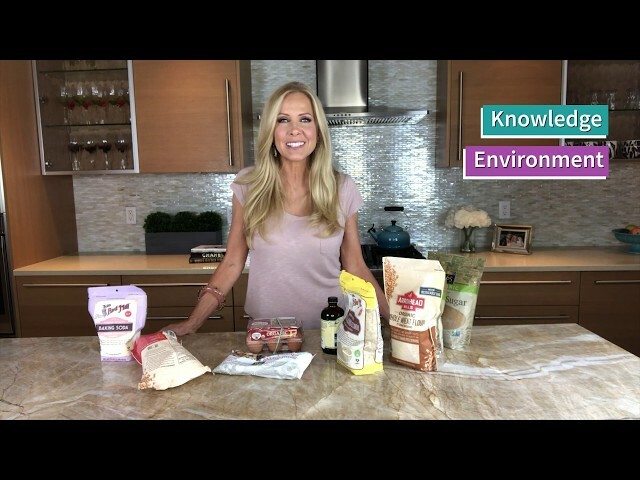 Which healthy lifestyle videos would you like to see next? Cooking, exercise, mindset, etc...? Please comment below! I do not own the rights to this song. It is intended for educational purposes only. Thank you! Best Healthy Snack - Charred Cauliflower with Dates! Hey there! I'm so glad you're here! This is my FAVORITE go-to healthy snack. It's my take on the True Food Mediterranean Charred Cauliflower dish. It's pretty quick and super delish! Cut veggies, toss with evoo & salt and place in baking pan. Bake in 450 degree oven for 15-20 minutes - or until charred. Mix tahini, broth, lemon, harissa, more salt, pistachios & dates together then add to veggies when cooked. Add avocado slices, mint & dill & Voila! A fresh, fast, fabulous snack! Hi! I'm so glad you're here! Every week I'll have updates on My Healthy Home build. We're building a clean, green, energy-efficient, net-zero house. In today's video, Yuli Alvarez (Project Manager - Sorrells & Co) and Christi Proctor Hurst (Trading Spaces) provide ideas to implement some rough and tough lighting fixtures my husband will like (Grit), yet satisfy my more contemporary taste (Glam). What part of the home building process are you interested in? Post your comments below! Subscribe so you don't miss an episode! I almost died from toxic mold exposure in my home that was once on MTV Cribs. We're building a clean, green, energy efficient, healthy home and I'll share weekly progress with you every step of the way. My goal is to help others recognize the signs of not only mold exposure, but harsh chemicals that can affect our health. Leave a comment below. Are you concerned about mold or toxins in your home? Keeping your family and pets healthy? Shemane and friends April O'Leary and Barbara Melvin discuss faith vs. feelings. Copyright ​© 2019 Shemane Nugent | Healthy Lifestyle Expert​.